There is a vibrant, lively and very broad musical community at Trinity, and you will be sure to find something that appeals to your tastes and accommodates your talents. As a congregation of diverse backgrounds, we try to ensure that the music in our services is uplifting and engaging, and covers a huge range of styles to appeal to people of many cultures and all ages, from young children to centenarians. More information is available about these on their own pages on this website. We perform a fully staged musical every summer, with lighting, actors, sound and set – in 2016 this was Andrew Lloyd Webber & Jim Steinman’s “Whistle Down the Wind”. We perform around the local community, including in Centre Court shopping centre and local care homes. For more information about any aspect of musical life at Trinity, please contact our current Director of Music, Andrew Davies on 07584 811605. 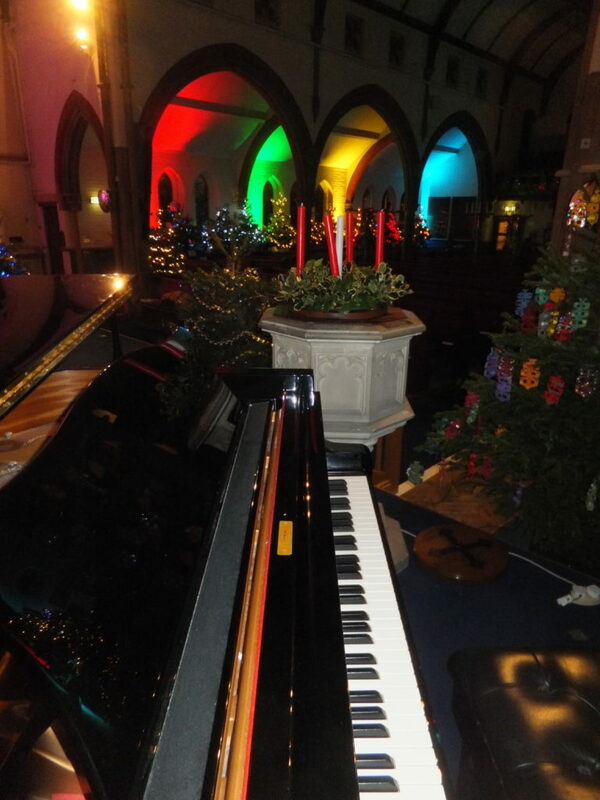 The church has a four-manual G H Foskett organ, with an adapted console by Father Willis, alongside a beautiful Yamaha full-size grand piano. The Mansel Road Centre is equipped with a Yamaha clavinova, and music stands, microphone stands and associated equipment is also available. Both church and Mansel Road Centre have sound systems fitted. For many years, Trinity has been well established as a venue for concerts and other musical performances, and our facilities are in high demand throughout the year by many highly-rated choirs, orchestras, music groups and classes, as well as some renowned musical festivals. We are also an ABRSM music examination centre. For more information about hiring our facilities please visit the Premises Hire section of our website, or www.facebook.com/manselroadcentre.